Tell us a little bit about Alberton Marine and how it came into the marine industry. We have been in Alberton for 29 years this year, Robert had a vision that he could establish a Marine business from a cow paddock 5 kilometres from Port Albert. What kind of business is it, do you have any specialties etc. We focus mainly on servicing & repower a good range of spare parts, trailer sales along with the usual good & chattels that go along with boating. Is there a main character/s at Alberton Marine who you could highlight? Robert Kuhnell, Ronda Kuhnell, the bean counter, son Barry Kuhnell who has worked with his Dad for 35 years & Jack Lethborg who has been with us for 6 years, all are different & unique in their own way. All dedicated the marine industry. What is the best part about being in business within the marine industry for you? The customers we have come to know over the years. What do you value most about your membership with BIAV? Being informed with what is happening & changes within the marine industry amd the way the BIA challenges the government on behalf of their members & amateur fishermen & women. 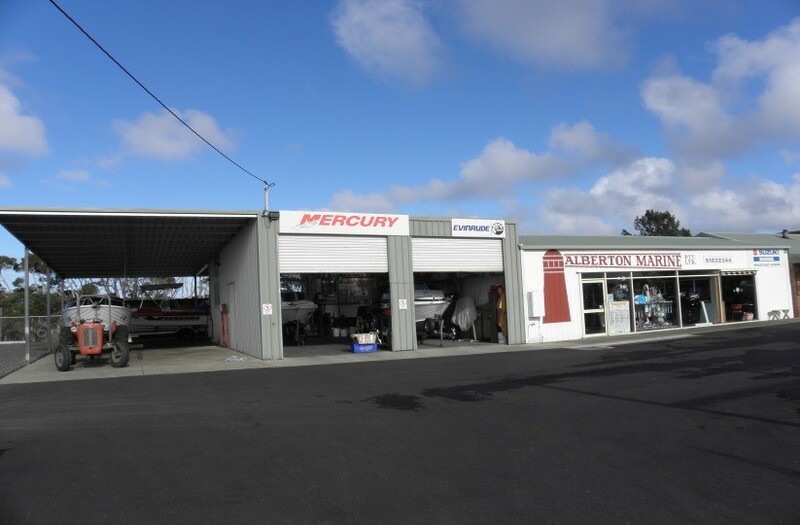 What quirky information can you share about Alberton Marine? Robert is well known far & wide as the golden Spana, this started off as a joke many years ago so we decided to have caps printed with our Golden Spana logo on them, customers now come in & ask for them.